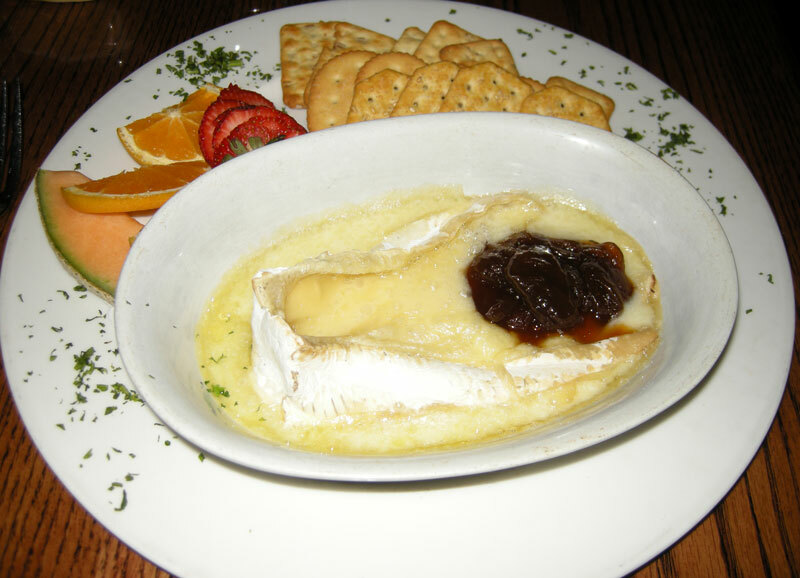 It's a lovely dish at Currah's Cafe & Restaurant in Picton but the baked "brie" is pedestrian. All cheese is not created equal. Two restaurants recently demonstrated that. “Oh, yes, it does,” we insisted, and off he went to look at a menu. Hmmm, never heard of a cheesemaker in Quebec called ARS. (Later, thanks to Google, we discover ARS Foods, a specialy foods supplier.) When the dish arrived, the presentation was lovely and the onion marmalade quite nice, but the cheese was, well, pedestrian. With so many stunning soft cheeses in Quebec that will easily match genuine Brie from France, why would Currah’s, which clearly aims to play with the big boys on the resto scene in Prince Edward County, chose to go with a no-name pretender? It's a good-looking poutine at Rubbs Barbecue Bistro in Campbellford but the cheese curds are blah. 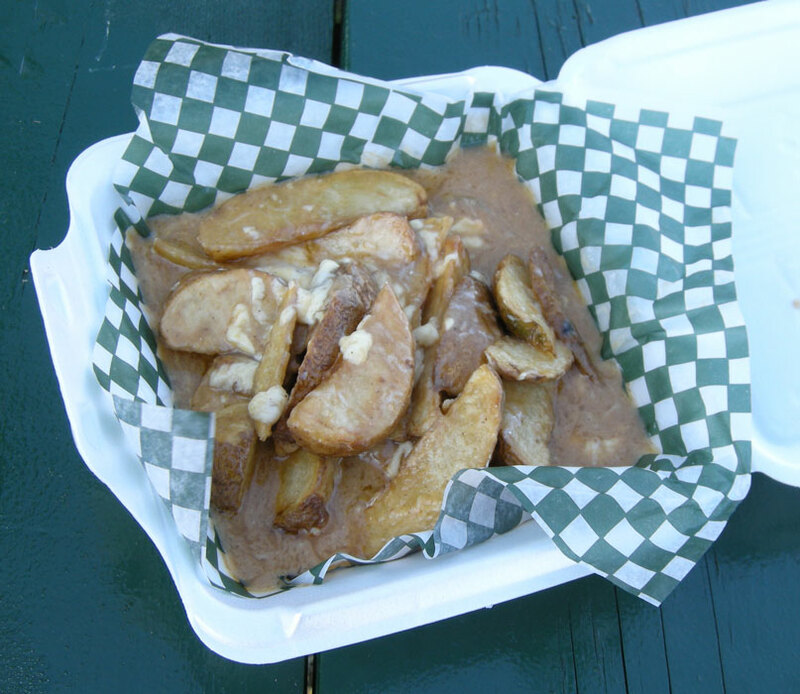 In Campbellford, a half-hour north of Picton, Rubbs Barbecue Bistro serves a good-looking poutine. The fries are chunky, the gravy beefy, and the cheese curds are layered through the dish. Here’s the but again: When one asks about the source of the cheese, “Sysco” is the response. Now, there is absolutely nothing wrong with Sysco, which helps serve millions of meals in restaurants, hotels and others across Canada, but just a few minutes down the road from Rubbs is one of the finest producers of cheese curd and cheddar in Ontario: Empire Cheese & Butter Co-op. At Empire, which dates back to 1870, cheese is made in the traditional way in open-style vats, with no additives to boost production and no flavours added. All cheese is not created equal. All restaurants are not either. Georgs Kolesnikovs, Cheesehead-in-Chief at CheeseLover.ca, will gladly return to Currah’s and Rubbs when they bring the cheese they serve up a notch. The curd we use come from Empire cheese and have since we have opened. Get your facts straight before you send something to print. Thank you for getting back to us so soon George. Aside from the Empire Cheese curds that we use on our poutine, we also use locally raised black angus beef from Glovers Farm Market. Located in near by Warkworth. As well when the season permits we use locally grown products. We support local- meaning our own community as well as communities in the region as much as possible. We look forward to you enjoying another meal with us at Rubbs.